The World Bank estimates that more than 66 percent of Honduras’ population lives in poverty and it is considered the least developed of all Central American countries. The violent crime rate in this country ranks among the highest in the world as criminals operate with impunity due to inadequate law enforcement resources. While some inroads have been made into putting systems in place to protect children, little is actually being done to address issues such as poverty, sexual exploitation, child labour, and child marriages. UNICEF estimates that there are 150,000 orphans in Honduras. Many children may have families but have been forced to work to support those families, or have been abused or abandoned. The streets are dangerous with many children falling victim to violence, disease, and/or hunger and often they are forced into prostitution or enticed into joining gangs in order to survive. Casa Hogar is a place of refuge for those without the option of a family life that is safe and wholesome. It provides a place to call home, belonging, security, food, education, shelter, clothing, emotional healing, and the opportunity to respond to Jesus' love and grace. Since applying for service with Fellowship International in 2005, Melodie Francis has served as social worker/mother/tutor to the children of Casa Hogar. The home's primary role is to break the cycle so that these children can heal, come to know their heavenly father, and become agents of change in their society. Since the beginning of the Fellowship's involvement with Casa Hogar through Melodie, individuals and congregations have generously supported the ministry through their donations as well as through their physical presence in the form of work teams who have built walls, dug wells, installed generators, and planted gardens. Melodie's parents, veteran missionaries, John and Lise Francis, who had served for many years in Spain, came to Honduras to serve with LeadersFormation and became surrogate grandparents to the children of Casa Hogar. Lise began a modest child sponsorship program through her own friends and contacts in Quebec. To date some 95 sponsors are providing monthly support to the children in the home. But a new chapter is being written for Casa Hogar. Over the past months negotiations have been ongoing between FAIR and Casa Hogar's mother organization, Vida Y Libertad, in Spain. Lord willing, FAIR will be assuming much more responsibility for the home and its ministry. Fresh Start is a project launched to raise the $110,000 needed to make provision for this change, to provide support for the children at the home during the transition, and to put a roof over a play area making it accessible in any kind of weather. We covet your prayers during this critical time in Casa Hogar’s history, and for its children and staff. FAIR is also working toward developing a child sponsorship program unique to Casa Hogar which will guarantee the sustainability of the home in the future. This is expected to be launched later this year. The work begun by Lise Francis among her contacts needs to be expanded if Casa Hogar's ministry is to be maintained. We need 250 sponsors who will commit $35 monthly to a child being supported through Casa Hogar. This child sponsorship program will become the flagship of other programs that will be announced in the Fall of 2019. The financial need is urgent, as are your prayers for this fresh start to the ministry of Casa Hogar. The transition needs to be successfully made. If it isn't, the ministry will be phased out and the children presently in the home run the risk of being returned to the streets or to the circumstances that brought them under the care of the home in the first place. Such a tragedy will also have an effect on the many children who could be helped in the future. 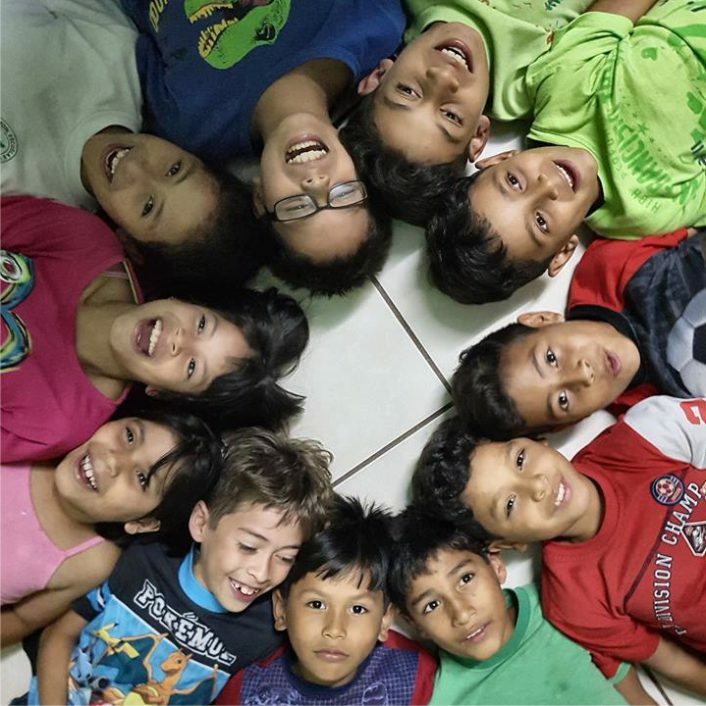 We continue to need your generous support, both in the long-term as well as the short-term, in order to help the children of Casa Hogar to move confidently into a brighter future.